Film sealed punnets cut... | Packing and Sorting Equipment. 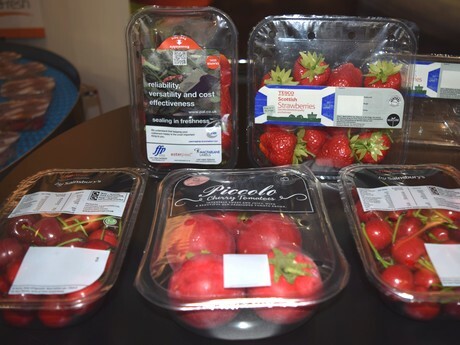 After being in use for the last 5 to 6 years in the UK, film sealed punnets and trays used for fruits have been gaining increasing interest from around the world. 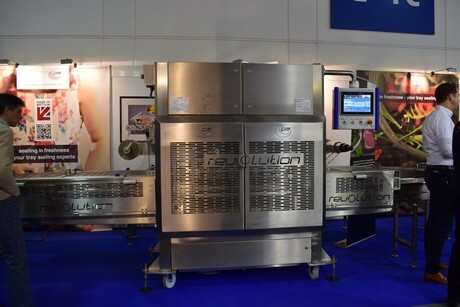 Milbor, a Polish based blueberry producer and supplier of packaging solutions to other producers, are the first to offer these up-and-coming packaging systems to Poland and the rest of Europe. They are also the first distributor in Poland to use this new packaging themselves and have been busy introducing it to other producers. “We have been reaching out to soft fruit companies who supply strawberries, cherries and cranberries, not just blueberries. The sealed punnets look much better without the lid. 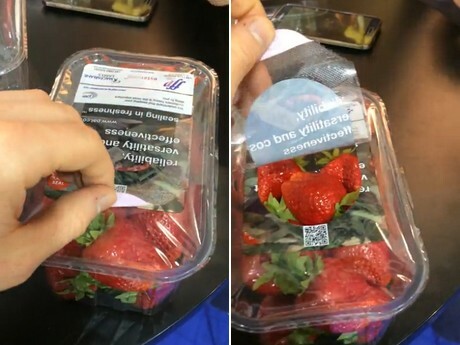 Additional benefits are that the sealed top also prevents tampering and supermarket customers from touching and tasting the fruits before purchase. The packaging is more convenient, providing a lidless solution that cuts down on waste.” said Maciej Chmielewski, Sales Engineer from Milbor. Soft fruits are often packed in punnets for the supermarkets, but fruits can be destroyed if the lid pops off, spilling loose fruit everywhere. The sealed film avoids this and also provides additional cost effectiveness but cutting down on warehouse labour because you don’t need to employ people to put the lids on the containers. Films can be pre-printed with branding and images and can also be offered in a resealable specification (to improve hygiene after opening and allow stacking of packs in the fridge) as well as micro perforations to allow produce to breathe (particularly when used with fresh cut produce and modified atmosphere packs). In addition use by and sell by dates can simply be printed onto the film at the point of sealing to simplify the packing process further. Shelf life for blueberries is around 7 days from the time of harvest to consumption, so any gain on shelf life is very welcome for producers. 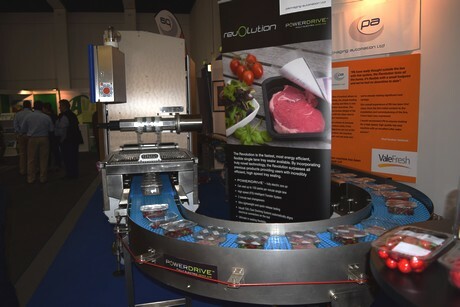 According to the machine manufacturer’s website, “Freshseal heat sealing machines are the fastest most energy efficient on the market today therefore producing the lowest cost per pack with a number of models available to suit the different levels of automation and production speeds in the market.